(PastorFish) Many conferences and meetings, under the banner of Christianity, promise spiritual breakthroughs to take your faith to the next level. Often in Africa, the pastor or so-called “Anointed Man of God” is seen as fulfilling the same role as the witchdoctor in ATR. He can do some magic or say some prayer to get you to achieve spiritual or financial or whatever breakthrough. 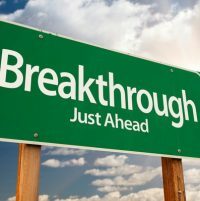 What does the Bible say about spiritual breakthroughs?